All PINE KEY RESERVE CONDO homes currently listed for sale in Lake Worth as of 04/26/2019 are shown below. You can change the search criteria at any time by pressing the 'Change Search' button below. 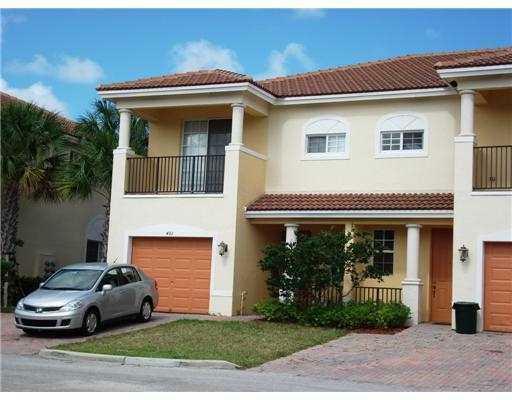 "Check out this BEAUTIFUL MEDITERRANEAN STYLE Townhome centrally located in Lake Worth. Featuring 3 spacious bedrooms, 2.5 bathrooms and 1 car garage, this upgraded home features brand new berber carpeting on stairs and bedrooms/living areas upstairs, gourmet kitchen with wood cabinets, granite counter tops, walk in pantry, walk in closet in master bedroom, open balcony, and much more.. Great community amenities including community pool, play area for kids and more.."